“A local’s favorite, this dark ale is reminiscent of coffee and dark chocolate and is our version of a brown porter. 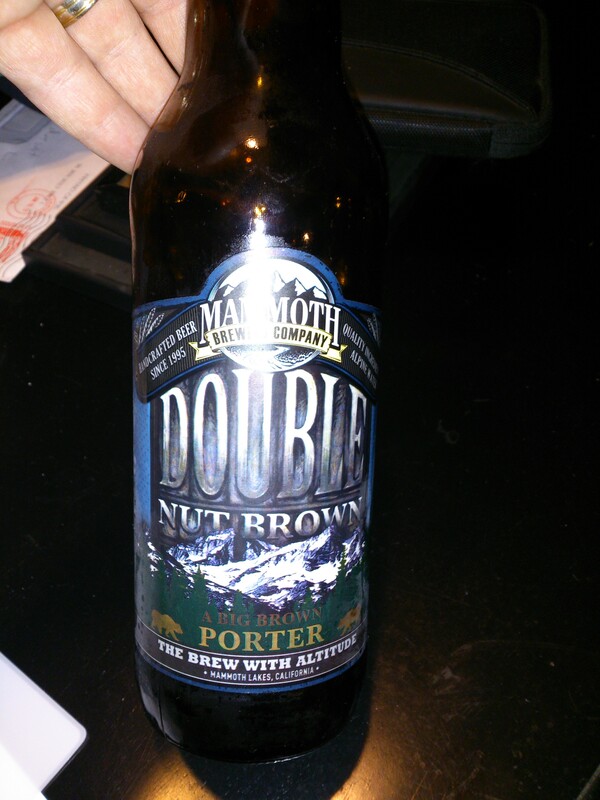 Double Nut Brown exhibits a mild sweetness and a finishing roasty dryness.” 5.5% Alcohol by volume. Poured into a 20 ounce nonic imperial pint glass. Left a light tan/nearly white, foamy head of about 2 1/2 fingers. The porter is nearly solid black, with a slight amount of ruby red/brown around the edges. Left solid lacing on the glass during the enjoyment. Lightly roasted, mild coffee/espresso, and just a faint amount of lactose/dairy. Decent amount of bitterness right up front, probably a 7 out of 10 in that regard. Lots of roasty malt flavor, with hints of coffee and dark cocoa, followed by a bit of a sour lactose flavor. This leads to an aftertaste of light bitterness, in which the nuttiness comes through and coats the palate. Definitely one of the thicker porters I’ve tried, as I expected it to be a little watery at just 5.5% ABV. It really coats the mouth/palate well, and that’s where this beer begins to live up to it’s reputation. 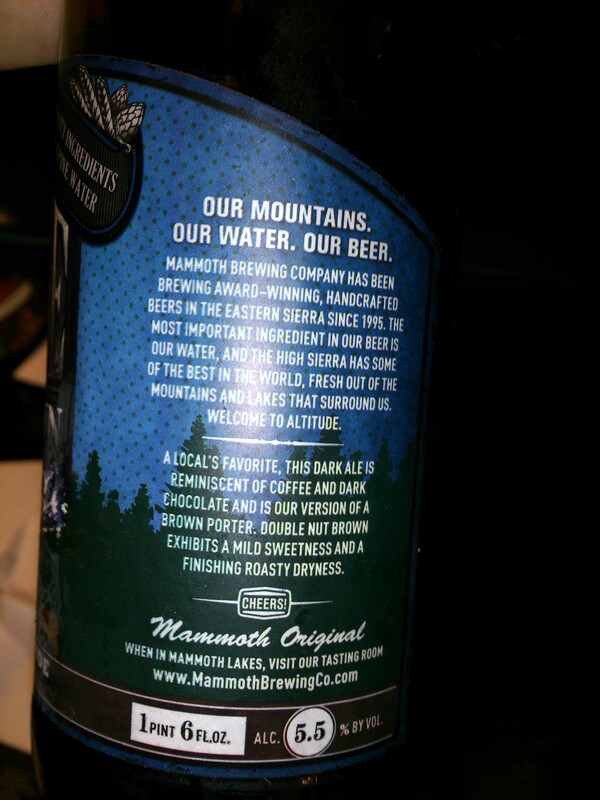 Being my first brew from the Mammoth Brewing Company, I was moderately impressed by this brew. It definitely tiptoes the line between a traditional porter and an English style brown ale, and does it pretty well. If you want a good roasty beer, and if you can actually find a bottle of it somewhere, give it a shot! 7.5/10!